"It feels like this season can only be a success if you become champions." The Liverpool manager revealed the squad met to analyse "how we see our situation" after their Champions League defeat by Red Star Belgrade in Serbia this week. He said talks were "all positive", but that they contrast with perceptions of Liverpool's campaign outside the club. "The season so far, points-wise, is really successful but it doesn't feel like that for two reasons," Klopp said, as they look to continue their unbeaten start in the Premier League against Fulham on Sunday. "The comparisons to last year's free-flowing football - and Man City, Chelsea, maybe a few others play a really good season as well so it should not be a surprise for us. "It feels like this season can only be a success if you become champions. "That is in a year when our competitors are the champions of last year, two years ago and a refreshed Arsenal, a more experienced Tottenham, who have a similar number of points we have, and Manchester United turning around." Klopp insists he has "no problem" with the competition and says Liverpool will continue to "go for everything". But he believes his side's displays are constantly being measured against the free-scoring performances which steered them to the Champions League final last season. "It's like we win a game and afterwards we have to say sorry we didn't win it in a [Man] City way," he said. "We have space for improvement but no reason for any negative view on it." 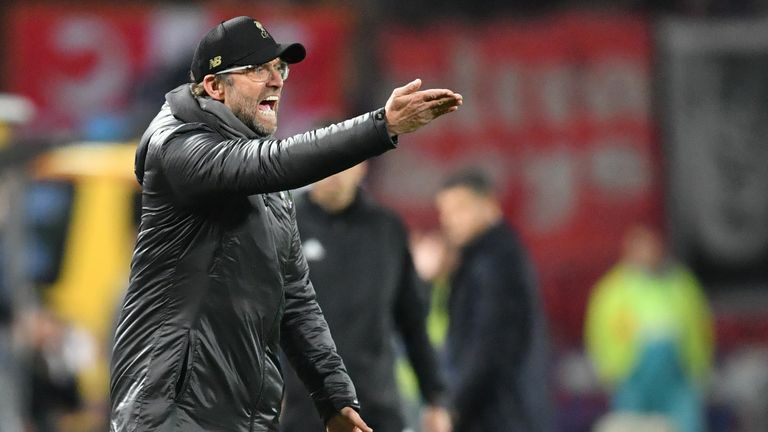 Players are not allowed to give speeches in these types of team meetings, the Liverpool boss said, insisting "there's only one real assessment that counts and that's mine". He admitted the defeat to Red Star was "a rather massive knock" but that the outcome of the squad's meeting has not changed their targets. "We are here to get results, like all the other teams," he said. "Now everyone has started again [after last season]. "We are really ambitious, whatever we can get we want to get. But the other teams don't sleep. We've all improved."